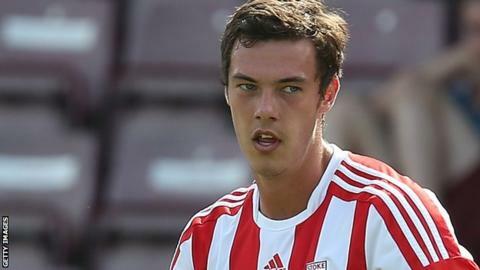 Chester defender Ben Heneghan has signed a new deal to keep him at the club until the end of the season. The 20-year-old joined in August on non-contract terms after his release by Stoke City in the summer. The former Everton youngster scored a last-minute winner in the derby game against Wrexham on Monday night. "That was the important goal I've ever scored. Until you get out on the pitch you don't realise how big the derby is," he told BBC Radio Merseyside. "When we're on our game we're a good side and can take it to anybody. I'm so grateful to have been given my chance here." Chester manager Steve Burr added: "Ben has been brilliant since he's been here. "He obviously became a hero against Wrexham but he is still a young lad learning the game, and needs a lot of hard work and coaching. "I'm delighted that he's now going to stay with us until the end of the season." After successive home wins against Southport and Wrexham to move clear of the Conference relegation zone, Chester head to Blundell Park on Saturday to face Grimsby Town, who are three points (and three places) above them in the Conference table.